In an interview with Sputnik, Konstantian Sokolov, a specialist in geopolitics at the Russian Academy of Natural Sciences, has branded the Chinese leader’s statement an "act of firm peaceful disposition" by the second largest economy against a backdrop of increased polemics, as well as a military and political standoff with the US in the region. "In this respect, China’s policies are rather consistent. The US received another signal that they won’t change, they are firm and consistent. They should take it for granted." He went on to say that the US is pursuing a “blatantly provocative” policy in the area, adding that Xi Jinping clearly sent a message that no US provocations can force China to give in. "This is more particularly about the Americans patrolling the offshore zone and air corridors near China in the South China Sea. At this point, Xi indicated that he has a firm defensive policy, demonstrating that China has no issues with anyone. I think this is an act of firm peaceful disposition." "Preservation of sovereignty and territorial integrity, which Xi Jinping cited, is a principle and core thread of China’s policies. We won’t make any concessions over the sovereignty and territorial integrity issue, which is of paramount importance for the country. It is not an issue to be negotiated." He went on to say that China, however, lays weight on Chinese-American ties, as well as seeks to resolve issues and avoid conflicts. "With regard to this, when meeting the US defense minister, the Chinese party deemed it necessary to tell the US in a most-straightforward way: if there are countries that hope that China will allow an infringement of its sovereign interests, these are pure illusions. China is no longer 'great Asian patient'; it is no longer a country that will allow anyone to determine its fate. The Chinese people won’t make any concessions over its indigenous interests." Shen Shishun believes that China’s major goal throughout this meeting was to demonstrate its position to the US, "eliminate misunderstanding in the dialogue to withhold the opposing party from incorrect decisions." "This is in the best interests of China and the US, as well global peace and stability." Before coming on an official visit to China, Mattis noted that for a start, he intended to listen to China’s arguments over strategic issues. Xi Jinping’s firm stance met his expectations, as he expressed China’s position on the issue, which had virtually disrupted the two countries’ defense ties. The last time a US defense secretary had visited China was in 2014. 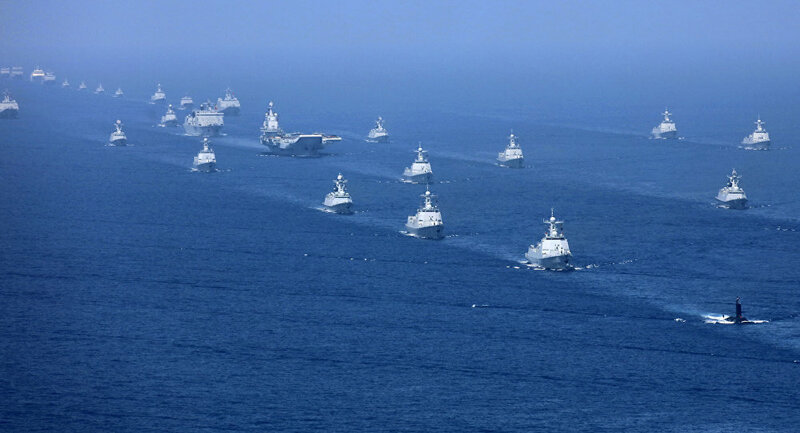 Ahead of Mattis’ arrival in China, the US cancelled its invitation to the Chinese Navy to participate in RIMPAC (the Rim of the Pacific Exercise), the world's largest international maritime warfare exercise, citing China’s increased military activity in the South China Sea. Talks between the Chinese top officials, including Defense Minister Wei Fenghe, and James Mattis coincided with the first day of the RIMPAC exercise, thereby sending a clear signal that the military ties between the two countries could outgrow the South China Sea debate.